In this post, we’ll be covering everything you need to know about transport, visas, currency, where to stay and corrupt border guards when you travel to Transnistria. No, we’re not talking about Dracula’s home Transilvania. 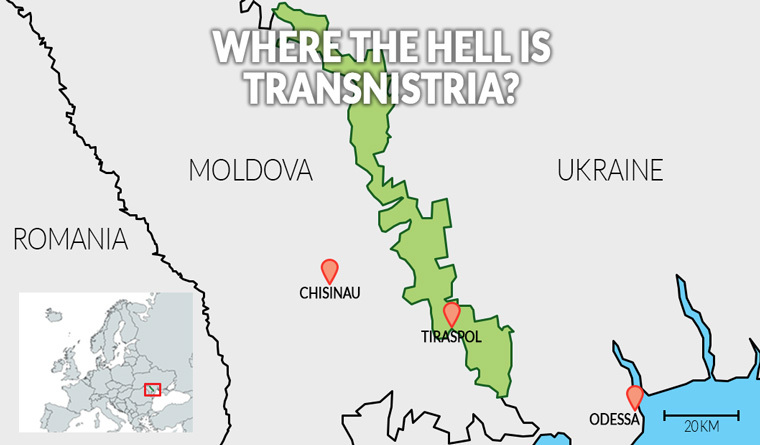 We’re talking about a tiny breakaway country between Ukraine and Moldova called Transnistria. Never heard of it? Don’t feel bad. Technically, Transnistria doesn’t exist. Don’t get me wrong, it’s got all the fun stuff real countries have. Government, currency, border controls, constitution, you name it. It’s just that none of this is actually recognized by any other country in the world. Confused? Back when the Soviet Union collapsed in 1991, Moldova had a bit of an issue. Transnistria, which at the time was a region in Moldova, didn’t want to stop living the soviet dream. Things went sour and Transnistria said: duck you Moldova, I’ll just be my own country. A short independence war later, the two countries decided to agree to disagree and the world continued saying Transnistria was still Moldova. 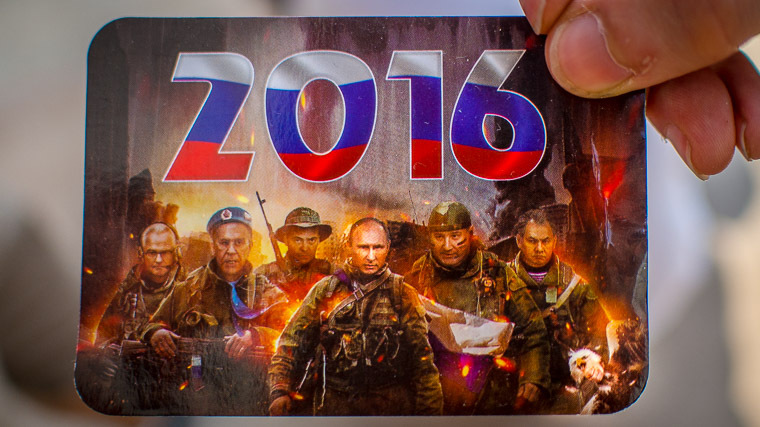 Almost 30 years later, Transnistria is now dreaming of being annexed by good old Russia. Although the plan hit a little bump on the road in 2006 when Russia turned down the offer (ouch), the Russian presence in Transnistria is pretty obvious. There are a few Russian military bases for “peacekeeping purposes” and you can even get arrested by the KGB. Our friend Seamus was handed this on Transnistria’s independence day on September 2nd. Don’t miss the guy strangling a bald eagle in the right corner! Oh you, propaganda machine. Transnistria’s capital Tiraspol is an easy stopover if you’re traveling between Ukraine and Moldova. The journey takes about 2 hours and there’s marshrutkas (fancy local word for a minivan) and trains running in both directions. Of the two, the marshrutkas are easier, cheaper and more frequent. If you’re coming from Odessa, make sure you check the best things to do in town! Buses leave all day from the main bus station near the market. We caught one at around 8 AM to make sure we got a full day in Tiraspol. There’s only one daily train which leaves in the afternoon and gets to Tiraspol in the early evening. You won’t have time to explore much on the first day, so this option involves spending the night in Tiraspol (check what that means for your visa further down). Buses leave every 30 minutes from the central bus station near the market. Chisinau to Moscow (train 66) leaving at midnight and arriving at 1:30 AM. Pretty useless. Chisinau to Odessa (train 642) which only runs in the morning on weekends. It leaves around 8 AM and arrives around 10 AM. 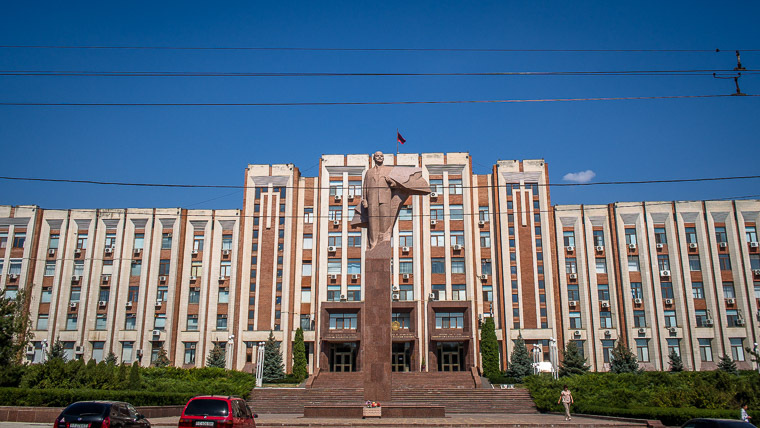 When you travel to Transnistria, you’ll get a free 10-hour transit visa. The border guards will scan your passport and give you a migration card. This piece of paper will have your name, date of birth and the exact time your visa expires. You’ll need this to exit Transnistria, so whatever you do, hold on to it! Or, even better, grab your phone and take a picture of it, just in case it disappears. If you’re entering by bus, this will be done at the border. If you’re entering by train, you’ll need to get your visa when you arrive. This can be done in either Tiraspol or Bendery by the immigration officer at the train station. Make Sure You Get Your Transnistrian Migration Card! 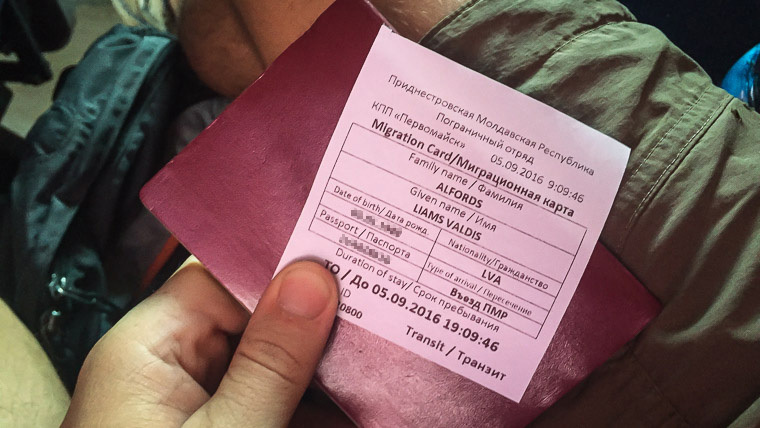 The border guards sometimes “forget” to give tourists their migration card when coming by bus. Make sure you get it when they give you back your passport. If it’s not there, politely insist. I know, this can be a little daunting when the border guards look like they’re from the KGB. But believe me, it’s worth the hassle as you’re otherwise guaranteed to have issues when leaving Transnistria. Don’t stress, 10 hours is plenty of time to see the main sights in Tiraspol. 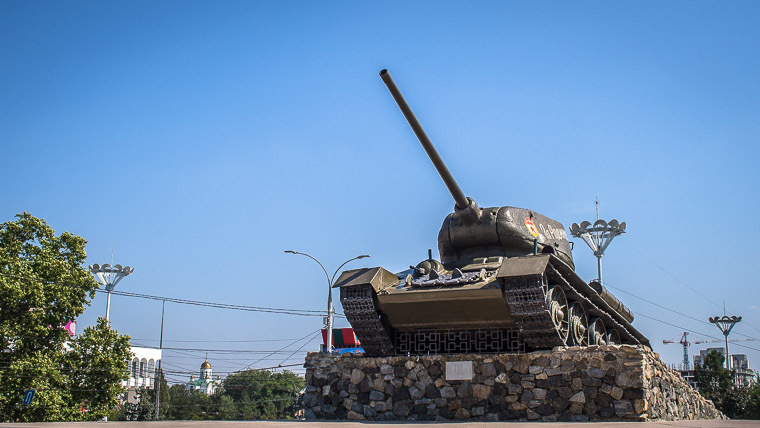 If you can’t get enough of soviet relics and want to stay longer, you can extend your transit visa at the Immigration office or Ministry of Interior in Tiraspol. They’re quite picky about entry and exit times, so make sure you don’t overstay your visa. Get an extension if you think you won’t make it to the border in time. This is considerably less painful than dealing with the guards at the border. There are no hostels in Transnistria, but there are Airbnb’s! Jump online and find a nice post-soviet house to call your own for a night or two. 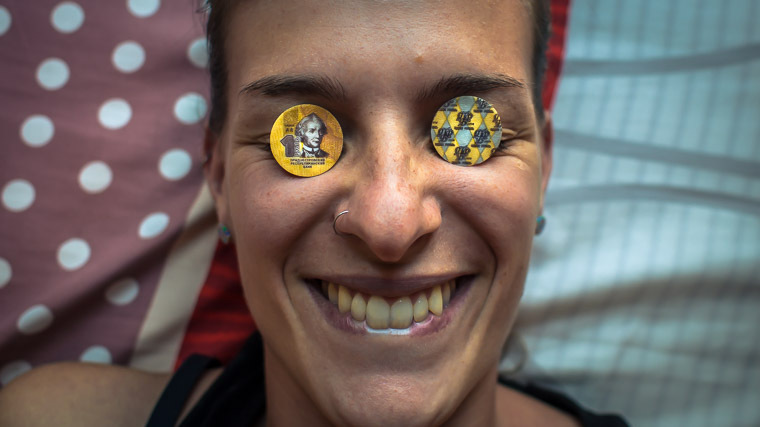 If you’re up for a more fun and local experience, there’s also a few locals on Couchsurfing. Like sleeping in stange cities? Why not try staying overnight in Chernobyl? I think the coins from Transnistria are the best souvenirs we picked up in all Eastern Europe. Why? They’re made of plastic, my friend. Yep, Transnistria uses real-life monopoly money and guitar picks as their currency. The bad news is that since Transnistria doesn’t officially exist, it’s money is worthless everywhere else. Make sure you plan your expenditures in Transnistria wisely as no one will exchange this fantastically fun currency once you leave the country. Once you’re done sightseeing, it’s time to take your migration card and head for the border. Depending on where you’re going next, the stamp situation can be a little interesting. The border guards in this region have a bad reputation for being corrupt and charging “fines”. If anything happens just remember to be cool, calm and collected. All the guards want is cash and if you hide it well enough, they can’t do much. Return trip from Chisinau: as Moldova doesn’t have passport checks on the border with Transnistria, it will seem like you’ve been in Moldova the whole time. Return trip from Odessa: you won’t be getting any Moldovan entry or exit stamps, which makes life easier at the Ukrainian border. All you have to do is exit Ukraine, go through the Transnistria visa process for entry and exit, then do a normal re-entry into Ukraine. From Moldova to Ukraine: this is where the stamps can get annoying. The Ukrainian border guards may try to give you an unofficial “fine” for having an entry stamp into Moldova but no exit stamp. Officially, Ukraine couldn’t care less about you not having an exit stamp from Moldova. As you can see, the reality at the border is a little different. From Ukraine to Moldova: again, you won’t get an entry stamp into Moldova. Make sure you get one in Chisinau if you don’t want to part with any bribe money when leaving Moldova. If you’re staying in Moldova for less than 72 hours, your Ukrainian exit stamp will serve as an entry stamp into Moldova. This means that for this period of time, it’s legally okay to not have an entry stamp. If you’re staying in Moldova for more than 72 hours, you’ll have to get your entry stamp at the OVIR office in Chisinau. What Happens If You Don’t Get An Entry Stamp? If you don’t get an entry stamp and stay more than 72 hours in Moldova, you’ll have problems when you leave, just like us! Want to travel somewhere even more off-the-beaten-path? Why not try backpacking in Iran? Our border crossing to Romania got a little interesting when the Moldovan border guard realized we’d been naughty and done what we just told you not to do. We were asked to pay €20, which we kindly refused by saying that we didn’t carry any cash with us. Instead, we showed him the photo of our Transnistrian migration card and acted like innocent tourists. After “debating with his boss” for 20 minutes, the border guard returned, gave us back our passports and wished us a good day. Our “fine” could have been real, but the amount probably not. Have you had any bad experiences with border guards on your travels? Did we miss anything important in the post? Or do you just want to say hola? Drop us a line – we love making new friends! I’m an Australian living in Ukraine and planning to look around Tiraspol over Easter. Any idea how frequently buses/mashrutkas are to Odessa, or where I could find this info? Thanks for the post, it’s really well written. In 2007 we made a trip by car from Odessa to Tiraspols and stayed overnight, “hiding” in our hotel until our tour of the city. The next morning we went by car up to Chisinau. We had no problems crossing the borders of Ukraine, Transdiniester or Moldova. We met a church member who warned us that it was very dangerous for us to have come to church that evening. Our anticipated “guide” had been out partying and left us on our own to get to Bucharest. We were able to purchase tickets early, and spent most of the day in the “safe” train station. The church member had warned us about the border crossing, so when the two sets of customs and immigration officers came through our car we stared at them with great intensity. The last officers were the Romanian customs. They came through the car knocking on the walls, and right outside our rooms they called for a tool kit and proceeded to remove a panel from the wall. We have always guessed that had we not been staring at them, they just might have found some little bags of white powder. Oh, and when I went to the door to watch the changing of the wheels I was greeted by an automatic weapon. This trip from Odessa to Bucharest will likely remain our most adventuresome travel experience – and to date we have been to 124 countries! The best? A well-researched two weeks in Iceland with two well-equipped four-wheel-drive vehicles. Well, Jeff, that sounds like an interesting time! Luckily for us and people going to the area nowadays, it seems to be a lot safer. We’re also very jealous of your favourite trip. Iceland is very high on our must do list. I spent more than a year planning our trip to Iceland using seven guidebooks and lots of internet. Yes, there are a few must see sights overflowing with tourists and tour buses. But for most of our 15 days we saw few other tourists!!! We crossed many rivers, even crossed a lake – well, an inlet – but of unknown depth! And we drove high up a mountain with ten foot visibility. We took many -off the beaten path – hikes – FABULOUS!!! We stayed in all sorts of places – mostly farm houses. I put the minute by minute itinerary into a booklet. I will print out a copy and send it to you tomorrow. I did read a few of your trip reports – you are our kind of traveler. Here’s one tip – other than Iceland. We took great trip around southern Africa back in 2006. In addition to Namibia – a must see place! – we took a tourist train called the Shongololo Express. It was new back then and the prices were very cheap. I highly recommend this journey! For us it was 17 days – now it seems to be only 12 days. And when in Namibia you must visit the winery!!! Yes, in the middle of the desert there is a spring and a vineyard. To send the Iceland itinerary I will need a direct e-mail address! From you or anyone else that would like a copy. Had no problem entering, on the way from Chisinau to Tiraspol they were a bit suspicious of the acommodation I booked but they ended up giving me entry pass for 3 days instead of two, no issues there. When I was going back they didn’t want to accept the adress of the hostel, they were super suspicious but after 15 minutes and help of the driver who confirned I had already been in Tiraspol I managed. Though the Ukranian customs officer was a prick. I left the bus with my camera, he angrily istructed me and warned me i cannot take photos even though it was just hanging over my shoulder. Then he deliberately came to me at the bus and asked i’m smuggling anything jeez. I had no issues exiting though, none of the guards even hinted towards a bribe so at least that was smooth. That sounds like a fantastic trip Jeff and the off the beaten path hikes sound amazing 🙂 Great to hear you think we’re your kind of traveller mate it definitly does sound like by what you’ve said. Funny enough East/South Africa is on our radar! We want to drive from Kenya down and around to South Africa over 6 – 12 months. Very very early stages though. Maybe we should just go to Namibia first to test the waters. Sounds great man, send it through! Hahaha well I’m glad you got through Branislav and you didn’t have to bribe them in the end. Before you visit the gorillas in Uganda or Rwanda check with me. I have valuable advice – but no time right now. Will do. We just got off the Colorado through the Grand Canyon and several have asked for a copy. It will be sent in August when we return from Peru.